Time to unleash The Boss. This is my own creation. And now I share it with the world. I was going to make this into a video but who knows when I'm gonna end up making one of these bad boys again so I figured I would post the how to, and then do a video later. Here we go. Grill up your burger, nothing special but add your favorite bbq sauce while you grill it up. Throw the bun on the grill just long enough to get it a little on the toasty side. After that, move to the kitchen, all the magic happens in there. Not on the grill itself. 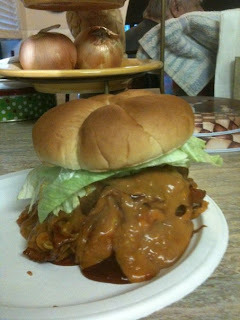 Add the cheese of your choice, for this burger I stick with cheddar, but pepper jack is also good to use. You can also throw this on when grilling to get it melted some onto the burger. Throw on some bacon. A few strips, don't get to crazy. Pour some BBQ sauce on top. Yes, I know you did it to your burger while you grilled it, but add some more on top of the bacon. That's right. 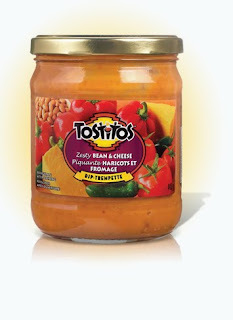 Tostitos Bean and Cheese dip. Heat it up for about a minute. Get about two table spoons and just pour some of this stuff on top. Now your burger is gonna get a little on the messy side, but if you wanna sit around and eat nice and neat pretty food, this isn't for you. This is for people who just love some tasty burgers. After that, sprinkle some jalapenos on top of the dip. Add some lettuce if you'd like. And BOOM. YOU GOT YOURSELF A BOSS BURGER.